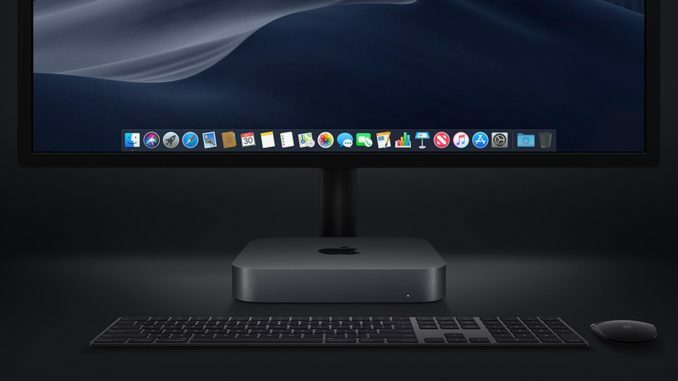 After a four-year delay, the much-loved Mac Mini returns, now with upgradeable RAM, Thunderbolt 3 and 8th Generation Coffee Lake processors across the board. On 30th October the updated Mac Mini was finally announced by Apple. After four years of neglect, Mac Mini fans were hoping for something special with this refresh. Does it live up to expectations? Other than the color, which is now space gray rather that silver, externally the 2018 Mac Mini looks almost identical to its four-year-old predecessor. Those who were hoping for a revolutionary redesigned system, given the long wait, will be disappointed. That said, this is still a beautifully engineered piece of technology, hewn from a solid piece of aluminium. 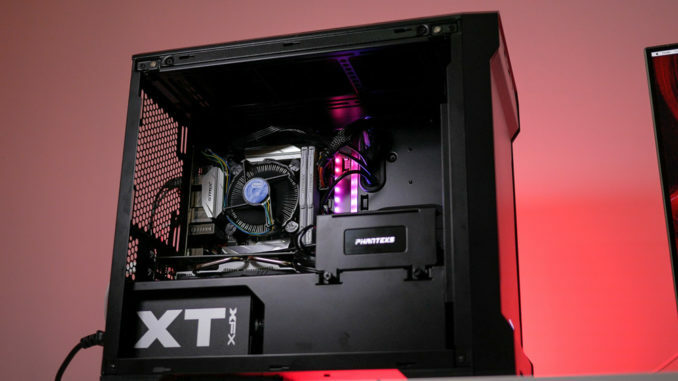 The entry-level machine gives you an Intel Coffee Lake Core i3 8100 CPU – that’s a quad-core processor running at 3.6Ghz. Geekbench 4 scores for this model CPU are 4379 for single-core and 12543 for multi-core. 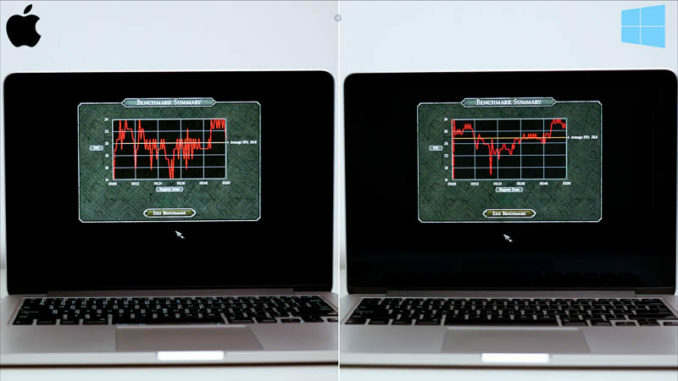 The higher-end model features what appears to be an embedded version of the six-core Intel Core i5-8500 at 3Ghz. If you’re intending to do processor-intensive tasks like 4K video editing, then this upgrade is well worth the additional cost. It’s a significant upgrade over the i3, bringing the Geekbench 4 score up to 5432 in single-core or 21758 in multi-core, or an increase of about 58%. For the ultimate in processing power, the Intel Core i7 i7-8700 is available as a $200 upgrade over the i5. It features six cores and 12 threads and manages 6024 for single-core and 28025 in multi-core. Memory on the base model has been upgraded to 8GB of 2666Mhz DDR4 RAM. One massive, and very welcome, change from the 2014 Mac Mini is that the memory is in the form of standard SO-DIMMs, rather than being soldered to the motherboard. This means that it can be upgraded after purchase. Although you can choose to add more memory at the time of purchase, it works out significantly cheaper to do it yourself. For example, 32GB of Kingston HyperX Impact DDR4 RAM can be bought online for under $320 at the time of writing. Upgrading to 32GB of RAM from Apple at the time of purchase costs $600 – almost twice the cost. Maybe Apple does occasionally listen to its users after all? 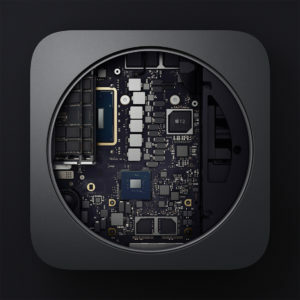 In another welcome change from recent Apple computers, the new Mac Mini provides a plethora of ports. There are now four USB-C / Thunderbolt 3 ports, along with two USB type A ports for a keyboard and mouse. Display output can be either via a Thunderbolt port (Thunderbolt 3 incorporates DisplayPort) or via an HDMI 2.0 port, capable of running a 4K display at 60hz refresh rate. 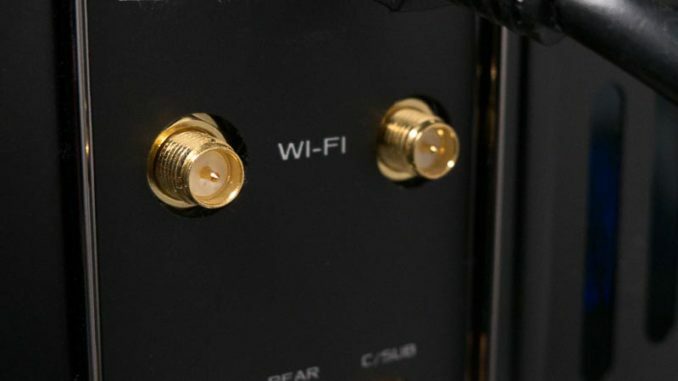 Next to the power input, there’s an RJ-45 connector for Gigabit Ethernet, and finally, a 2.5mm headphone jack. Notable by its absence is an SD Card slot, meaning that a card reader is going to be required if you want to import images or footage directly from an SD card. As expected, the new machines use integrated graphics. Specifically the Intel HD 630 which is integrated into all of Intel’s 8th Generation Core CPU’s. This is certainly no powerhouse of a GPU. In games it’s soundly beaten by a sub-$100 budget GPU like the Nvidia GT1030, while in the BruceX 5K benchmark under Final Cut Pro, the UHD 630 completes the export in 1 minute and 55 seconds. For comparison, the entry-level Radeon RX 560 graphics card finishes the same test in just 29 seconds. On the positive side, with four Thunderbolt 3 ports at your disposal, you always have the option of using an eGPU, although this does negate the advantage of having such a compact system. The entry level Core i3 model provides you with a meagre 128GB PCI-Express based SSD as storage. This is definitely not enough for any serious use – it’s barely enough for the OS and a selection of applications. This can be increased to 256GB for an extra $200, but then the price is only $100 shy of the Core i5 model which gives you 256GB as standard, along with a much faster CPU. While the entry-level 2014 Mac Mini started at $499 for the entry-level model, this has now increased to $799 – a 60% increase. Once you pay an extra $200 to upgrade the storage to 256GB (a necessity, in my opinion) you’re only $100 shy of the higher-specification model with a Core i5. This makes the $1,099 Core i5 model a much better buy – $100 extra for a near 60% speed increase is a no-brainer. 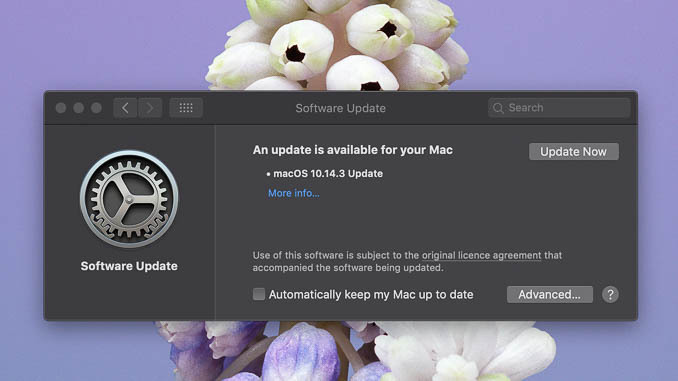 This is a very welcome update to a much-loved Apple computer. 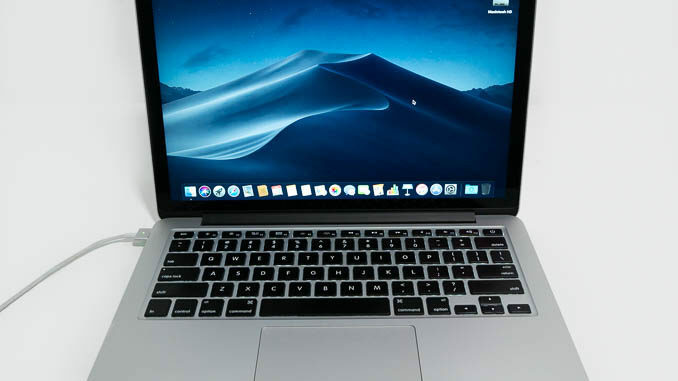 It’s significantly faster, and brings back many of the features missing from Apple’s recent machines, including upgradeable RAM, multiple ports and a headphone jack. The one sticking point is the price. $799 is simply too expensive for a Core i3 with 128GB of storage. Add extra storage and a faster CPU, and the price increases significantly, running up to a massive $4,199 for a Mac Mini with a 3.2Ghz Core i7, 64Gb RAM and a 2TB SSD. Upgrading from the base spec is also prohibitively expensive. For example, the price difference at retail between an i3-8100 and an i7-8700 is in the region of $180, so why does Apple charge $300 for the exact same upgrade? Take a mid-range model with 256GB SSD and i5-8500, and once you add in the cost of a 4K monitor, keyboard and mouse, you’re way over the $1299 base price of a 4K iMac, and that iMac includes a dedicated GPU. This leaves you wondering, who is this for? If the new Mac Mini had dropped with a $499 starting price, and the higher spec model at $799 then I would highly recommend it. As it stands, the price makes it very difficult to recommend this machine over an iMac. We can only hope that Apple reduces the price to something more realistic in the future.